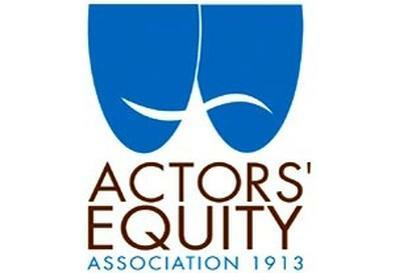 Mary McColl has been named the new executive director of Actors' Equity Association. McColl comes to the stage actors' union from the Cowles Center for Dance and the Performing Arts in Minneapolis, where she was executive director. Previously she had been director of labor relations for the Broadway League. McColl succeeds Carol Waaser, who has served in an interim capacity since John Connolly vacated the directorship last November. Asked via email how her experience as labor director at the Broadway League would inform her work at Equity, McColl responded, "I have a great respect for unions and have always used a simple strategy in my work—I remember that creative human beings are attached to the terms and conditions in any collective bargaining agreement." McColl previously served as vice president of operations for the Saint Paul Chamber Orchestra and as vice president and general manager of the Ordway Center for the Performing Arts, both in St. Paul, Minn. She is expected to officially begin her new role sometime in January. The hiring completes a changing of the guard at Equity that began last year when Connolly and union president Mark Zimmerman resigned their respective posts within 11 days of each other. Both men cited the desire to spend more time focusing on their acting careers and personal lives as reasons for leaving. "Of course I was concerned about how people might interpret it," Zimmerman said to Back Stage in January when asked whether he had considered how news of his and Connolly's closely timed departures would be received. Zimmerman was succeeded in interim by Equity 1st vice president Paige Price. In May, actor Nick Wyman was elected Equity's new president, fending off a write-in campaign by Price, who failed to win the approval of Equity's nominating committee. Speaking to Back Stage two days after his election, Wyman discussed the qualities that the union would look for in a new executive director. "We've learned a lot about things that we want the executive director to do differently, about things that we want to do differently to make sure that the executive director is more successful, that there is better communication," Wyman said. " 'Communication' is one of the key words that I flogged when I was running for this office, but I think it's very, very important."